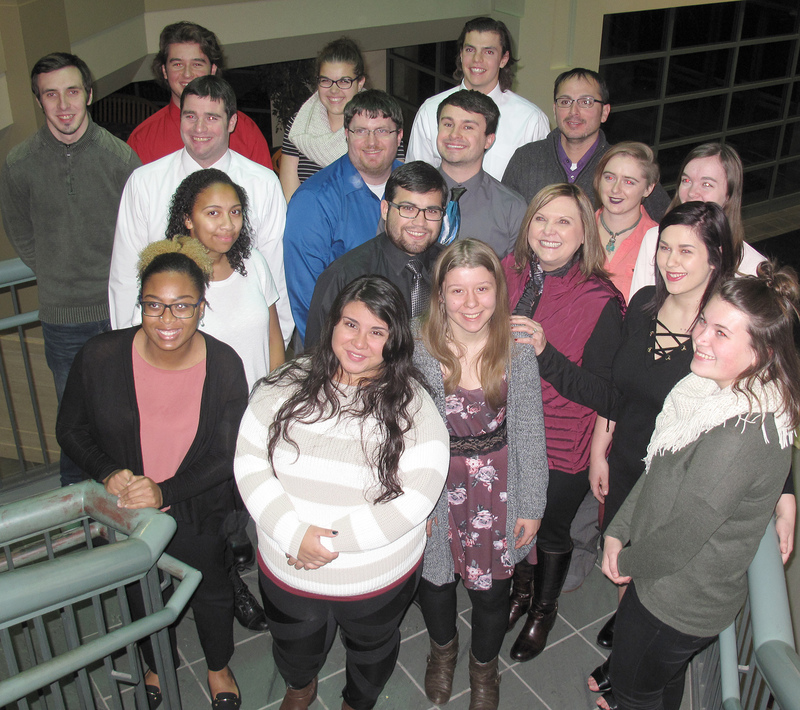 The annual Society for Collegiate Journalists induction ceremony at Eastern Illinois University was held Thursday, Dec. 8, 2016, in Buzzard Hall. Congratulations to Justin Brown, Bryan Bund, Angelica Cataldo, Kristen Ed, Kallie Haritopoulos, Carole Hodorowicz, Vincent Lovergine, Justice McGruder, Christine Miller, Leon Mire, Shelby Niehaus, Samuel Nusbaum, Michael Parsaghian, Dillan Schorfheide, Adam Shay, Elizabeth Stephens and Elysia Strueber. Nicholas Teresky, Kennedy Nolen and Benjamin Leman will be inducted in January. Office administrator Wanda Kay Robinson was also inducted as an honorary member. New officers will be elected in January for the calendar year. Thanks to our Executive Director Sally Renaud for this news submission.